What changes could I make to my product pages to encourage more sales? How can I get more online reviews, and avoid them being filtered? What are some ways that I can turn my leads into customers and clients? Just an hourly investment of $200/hr (minimum 30 minutes). Looking for more long-term strategy, planning, and implementation? 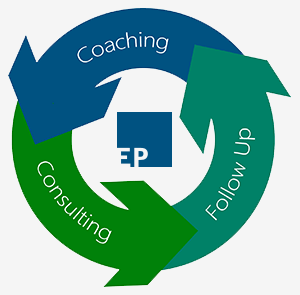 See our Small Business Growth Consulting. Creative design and development includes: web design, coding/programming, graphic design, branding, usability, conversion rate optimization (CRO), and more. These creative areas are critical to your business because they affect the manner in which your audience interacts with you — everything from how trustworthy your business, to how easy it is to make a purchase with you. Our approach to design and development is simple: let the goals lead the project. We understand that every business is unique and has equally unique requirements, so rest assured that our services are fully customizable to fit your business. If you would like to discuss how our Creative Design & Development services can enhance your marketing campaign, please feel free to contact us today. We understand that every business is unique and has equally unique requirements, so rest assured that our services are fully customizable to fit your business. If you would like to discuss how our Content Marketing services can enhance your marketing campaign, please feel free to contact us today. Social media marketing involves increasing traffic and attention by interacting with your audience and prospects on social networks such as: Facebook, Twitter, Google+, Pinterest, and even niche social networking websites like Ravelry, Fitocracy, and Foodie. Our social media approach focuses on connecting you with your market on social networks genuine to your business. We develop social media strategies and plans that help you foster relationships with your audience, cultivating brand trustworthiness, loyalty, and authority. We understand that every business is unique and has equally unique requirements, so rest assured that our services are fully customizable to fit your business. If you would like to discuss how our Social Media Marketing services can enhance your marketing campaign, please feel free to contact us today.